Deciding on the right décor for your home can be a lot like finding your mate for life. Can I commit to these tiles? Is this fabric too high maintenance for my lifestyle? Will I tire of these paint colors over the years? 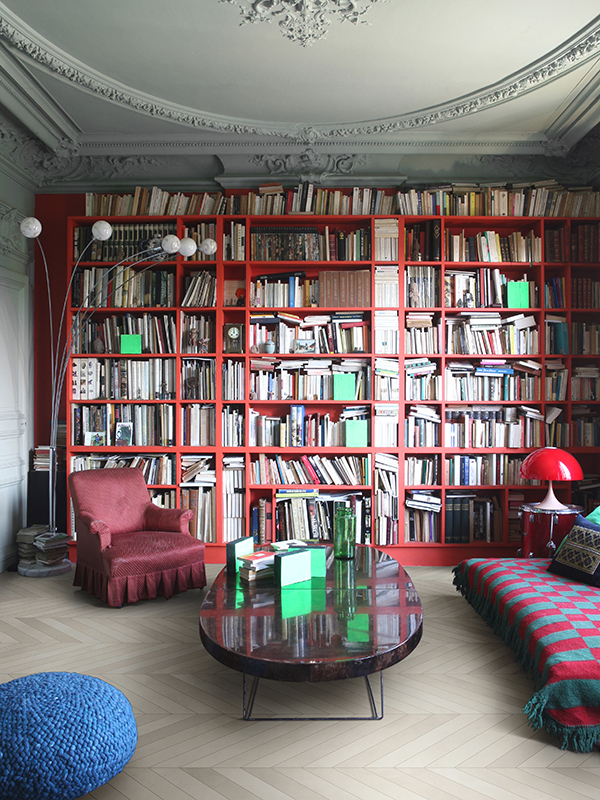 These are all questions and concerns you may have while designing a space. Whether you hire an interior designer or not, choices will have to be made. Just like deciding on when to settle down with someone, you will have to move on from the dorm days style at some point. No one said it would be easy, but there are a few steps you can take that will help you achieve the look you desire without commitment issues. Committing to a tile can be an easy decision if you go with a classic and not trendy look. Marble has been a classic go-to look for centuries, and you can see why when you discover it’s natural beauty. Concerned about the maintenance? A simple solution would be to go with the marble look without the upkeep. 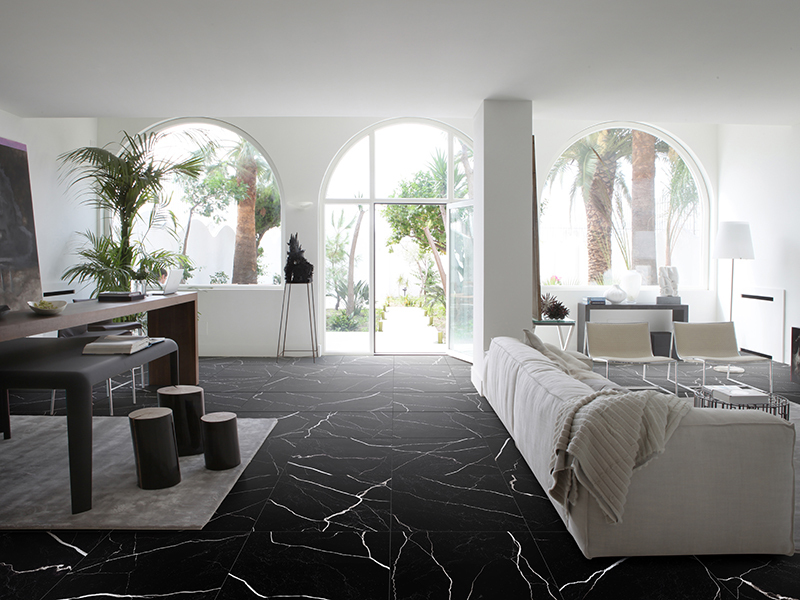 Our Mate Collection offers a realistic marble look, but is actually a porcelain tile! We love the Chevron pattern in MarmoNero. The intense beauty of this marble look offers a graceful design that would pair beautifully with a white marble look alike like our MarmoBianco on the walls in your bathroom. You could choose either a black or white marble porcelain option from the Mate Collection and even pair them with White Glossy Subways or another classic shape like our Hexagon Mosaics. The Mate Collection can also be used in larger living spaces such as your living room and kitchen. 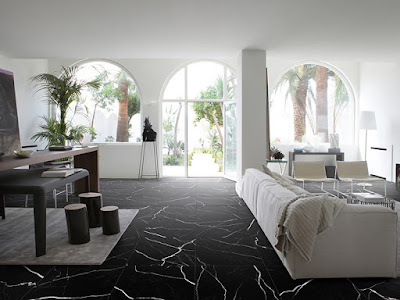 We love the look of the high contrast with white furniture and walls mixed with the dark Marmo Nero floor. If you are too afraid of a dark floor, a lighter option like a replicated limestone look would be right up your alley. Our TerraAvorio option from the Mate Collection opens up the possibilities for color options in the rest of your space. While white and black options offer many opportunities, a softer neutral color like the Terra Avorio would complement warmer colors and wood tones. The possibilities are endless, but starting with a flooring option will lead to the wall paint, and then furniture and fixture selections. Meet your match with our Mate Collection, and you are on your way to a pleasantly designed space that you will not regret! Signup for exclusive deals and be the first to hear about new products.